No matter if you have a manual or automatic transmission, Oakwood Transmission Service can help you replace it. Some of our clients are initially nervous about taking this step because it is a large component of the car, but if the transmission is failing, it is best to go ahead and take action before it breaks down completely. A transmission replacement from our Gainesville shop will have your car running smoothly in no time. Plus, with our multiple warranty options, you can rest assured that we will be here to help if anything else goes wrong. If your transmission has failed, there are a few factors to consider when deciding whether your car should have an automatic transmission replacement or a complete rebuild. Transmissions typically last half as long as the rest of the components that make up a car's engine. If the engine of your car is not that old and still in good condition overall, it makes sense to have the transmission replaced with a new one. Our expert ASE-certified technicians can replace the transmission in any car quickly, easily, and affordably. Warranty Offered on All Transmission Replacements! With our 12-month or 12,000-mile warranty, you can feel confident knowing the services you get from us will last; although, if something does go wrong, we will fix it at no charge to you. Our aim is to provide you with help -- we never take advantage of you in your time of need. Once a new transmission has been installed in your vehicle, the car will run smoothly and shift easily, making your daily life much easier. Speak with our professionals today to find out how you can get $100 off your transmission replacement! Our friendly and knowledgeable staff knows that choosing a mechanic begins with trust. We live up to that responsibility by making sure each customer is given all the information necessary to make an informed decision about repairing their vehicle. Not every problem requires a complete transmission replacement, and we always place your needs and budget before all else. Our specialists pride themselves on their commitment to honesty and personal service, and always have your best interests in mind. 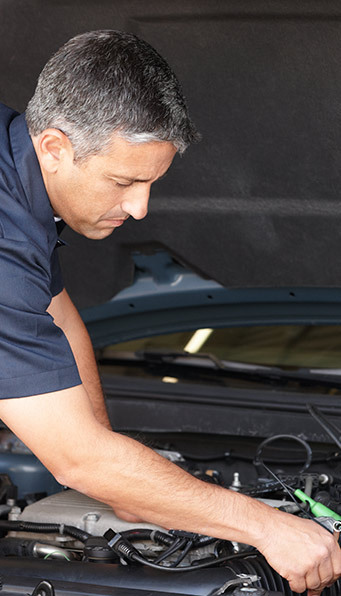 With vast experience fixing private and commercial vehicles, our employees have invested in the latest, state-of-the-art diagnostic equipment and technology needed to get the job done right. Unlike other repair shops, you speak directly to the mechanic, not a salesman. When it comes to transmission replacements, we do everything possible to help you figure out the source of the problem to ensure a smooth ride every time. Ensure your vehicle performs at optimum levels with the help of our specialists. Whether you drive a four-wheeler, a luxury sedan, or an off-road vehicle, we offer complete transmission rebuilds and replacements that keep your car working perfectly. Our highly trained and experienced technicians are qualified to work on vehicles of all makes and models. Our goal is to provide fast and efficient services that extend the life of your vehicle to get you back on the road as soon as possible. When your transmission is slipping or not going into gear, we can help. We perform a detailed diagnostic to figure out the source of the problem and determine if it needs a complete transmission replacement or an entire rebuild. You immediately notice a difference when you drive a car with a brand-new transmission replacement. Many times, a faulty transmission can lead to sloppy, hard-to-manage drive wheels. However, with a new transmission, you realize that you have more power and better control, making it easier to drive at a comfortable speed. Additionally, a streamlined manual transmission replacement should return the usage of any gears that you may have been unable to use while your transmission was having issues. It also makes it easier to shift gears, so you no longer have to exert a tremendous effort on the gear stick every time you brake. It eliminates any delay between gearshifts, giving you the chance to arrive at your destination quickly and without any hassle. Contact us today for transmission replacements that are sure to save you money and hassle. We proudly service clients throughout Gainesville, Buford, Suwanee, Lawrenceville, and Flowery Branch, Georgia.